Nipsey Hussle performs onstage at the 2018 BET Experience on June 23, 2018 in Los Angeles. Well, bowl me over with a feather, the police are actually protecting someone from the hood. 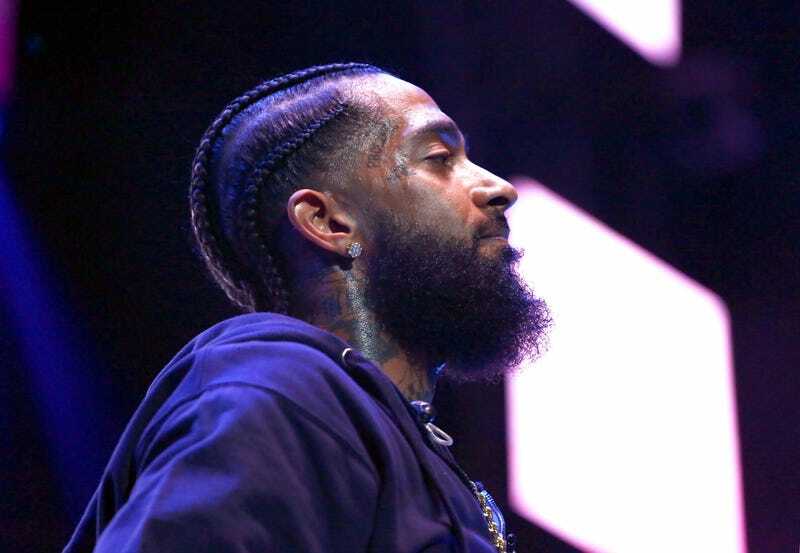 According to reports, Eric Holder, the alleged killer of beloved rapper and community builder Nipsey Hussle, who was murdered on Sunday, is being held away from the general population, out of fear for Holder’s life. TMZ reports that the LAPD picked up Holder from the L.A. County Sheriff’s Department station in Lakewood Tuesday and took him to a police station in South L.A.—where he is being held all by his lonesome. Sources tell the site he’ll remain in solitary once he’s transferred to L.A. County Jail while awaiting trial. A judge set Holder’s bail at more than $7 million. Police were reportedly “in a race” to arrest the 29-year-old before someone gave him that street justice—and given the outpouring of love for Hussle, a very likely scenario. That man needs to be looking over his shoulder—in the streets, in the jails, probably for the rest of his life, especially because he allegedly knew Hussle (real name: Ermias Joseph Asghedom), which makes the hit that much more devastating (and grimy).